Here’s to a decade of designing, manufacturing, and engineering superior digital billboards. 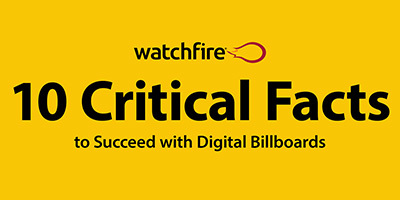 We're celebrating over a decade of digital billboards, but Watchfire's been a leading industry force for over 87 years. 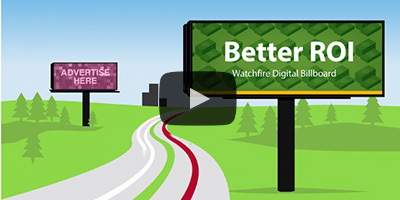 From innovative design and engineering to solid client partnerships and 24/7 support, Watchfire helps build your business while you build profits. 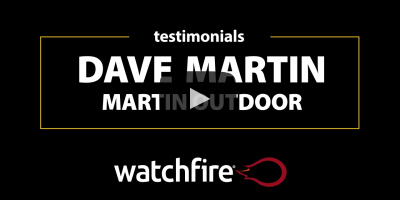 Learn more about our billboard products and see why Watchfire has more billboard customers than any other manufacturer. 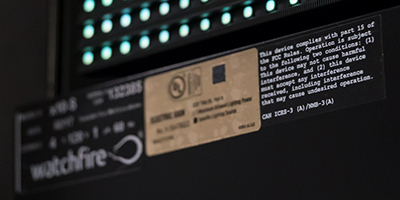 Accept no compromises with Watchfire’s unparalleled ten year brightness guarantee, ten year color uniformity guarantee and ten year parts and labor warranty. 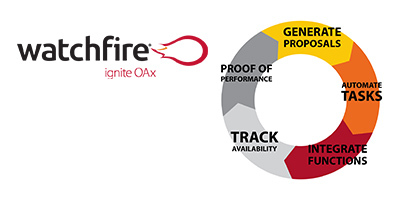 From proposals to proof of performance, Ignite OAx powers comprehensive management of your out of home advertising business. Ditch Outlook tasks, sticky notes and spreadsheets with Ignite OAx. 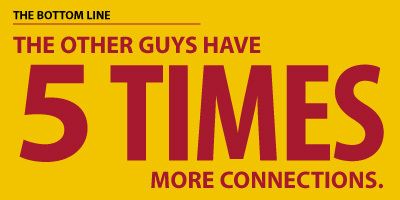 Insider tips and free operator tools give you the competitive edge. 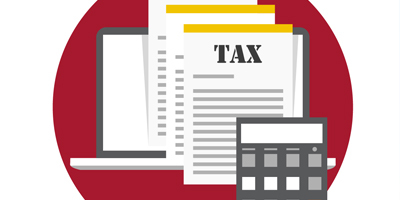 Download this white paper to learn how Section 179 and Special Depreciation deductions can dramatically cut your tax bill if you buy a new sign this year. Billboard operator Neil Bell joins us to share insights on improving advertiser usage of the capabilities of digital billboards through sample content and timely ad changes. 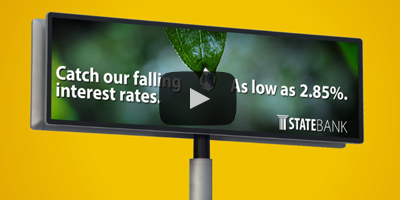 Testimonial Videos: Our earliest customers share a decade of working with us. 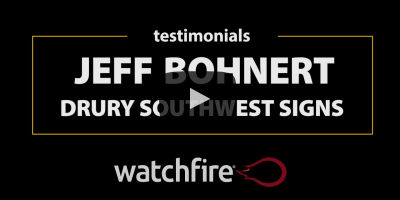 Jeff Bohnert, from Drury Southwest Signs, has had little to no issues with his digital billboards and they have been very dependable. 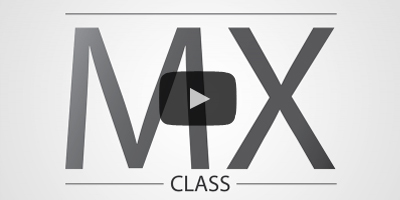 Watch this video to hear more. 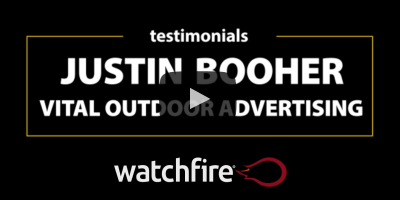 Justin Booher, from Vital Outdoor Advertising, installed one of the first-ever Watchfire digital billboards. Watch this video to hear more about his experience.